. 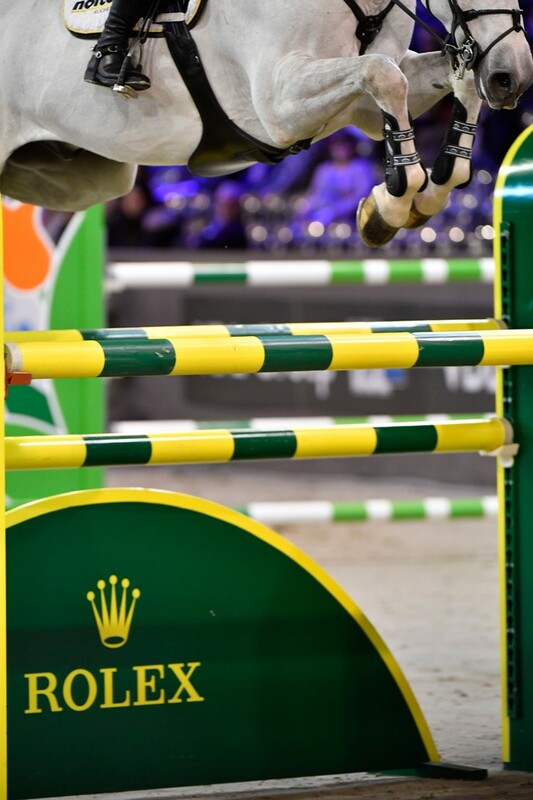 :: HOME FAVOURITE LEOPOLD VAN ASTEN WINS THE ROLEX GRAND PRIX AT INDOOR BRABANT ::. 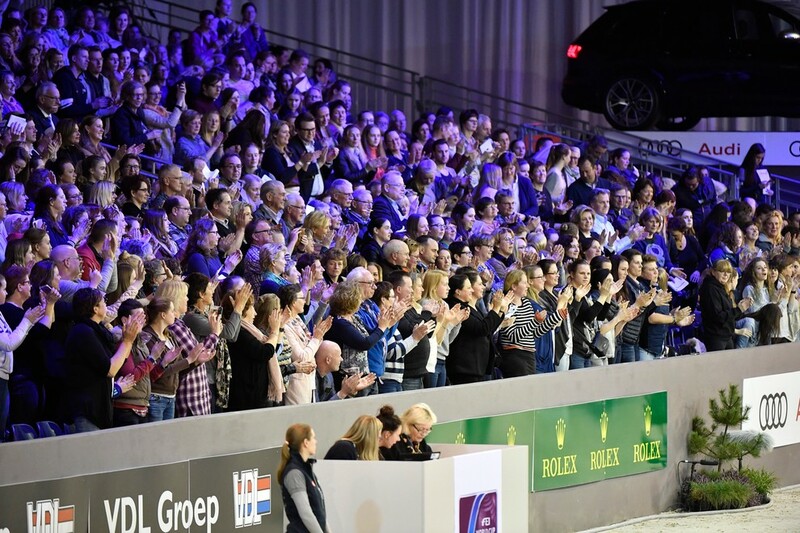 12 March 2017, 's-Hertogenbosch, The Netherlands – In one of the most dramatic Grand Prix in Indoor Brabant's long history, Leopold van Asten riding VDL Groep Zidane N.O.P. today won the Rolex Grand Prix. Established in 1967, and celebrating its 50th anniversary this year, this leading show has a long history of attracting the very best riders, and with 12 of the World’s Top 20 taking part, 2017 proved to be a sporting classic which resulted in Dutch riders also taking second and third place. The top Grand Prix in the world demand the very highest levels of skill and precision from the riders, and course designer Louis Konickx laid out a technical and challenging first round course which many found difficult to master. Despite the support of the passionate crowd willing each rider to go clear, it was not until the 24th horse and rider combination to enter the ring, home favourite Wout-Jan van der Schans riding Capetown, that they could cheer a faultless round. From the 40 starters, just seven made it through to the jump-off, a group which included three from the host country, and two in-form Rolex Testimonees, Kevin Staut and Bertram Allen. It was clear from the cheers as the domestic riders entered the arena who the home crowd was supporting. First to go was van der Schans. The crowd hushed for the 40.51 seconds that he took to jump his second round of the competition, but that quickly changed to cheers when he went clear. He was followed by Lorenzo de Luca and Bertram Allen, both of whom had poles down. Next into the ring was favourite, Marc Houtzager, who matched van der Schans’ faultless round, but could not match his time. Van Asten followed him and was the first to go clear in a time under 40 seconds, and when the final rider had a pole down and a refusal, the Dutch rider and his home crowd could celebrate the famous victory. 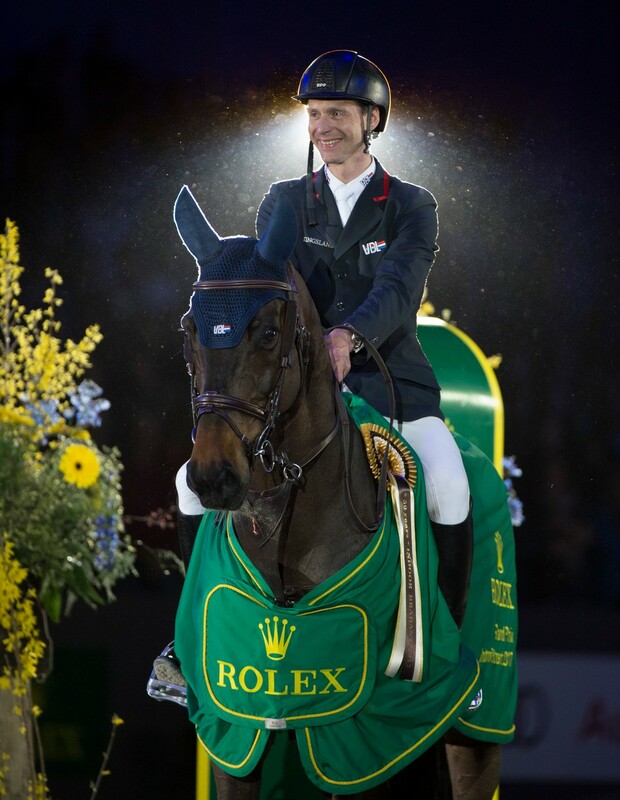 This year also marks the 60th anniversary of Rolex’s support of equestrianism. The British rider Pat Smythe became Rolex’s first equestrian Testimonee in 1967 and laid the foundations for the brand’s 60-year association with the world’s finest competitions and riders. 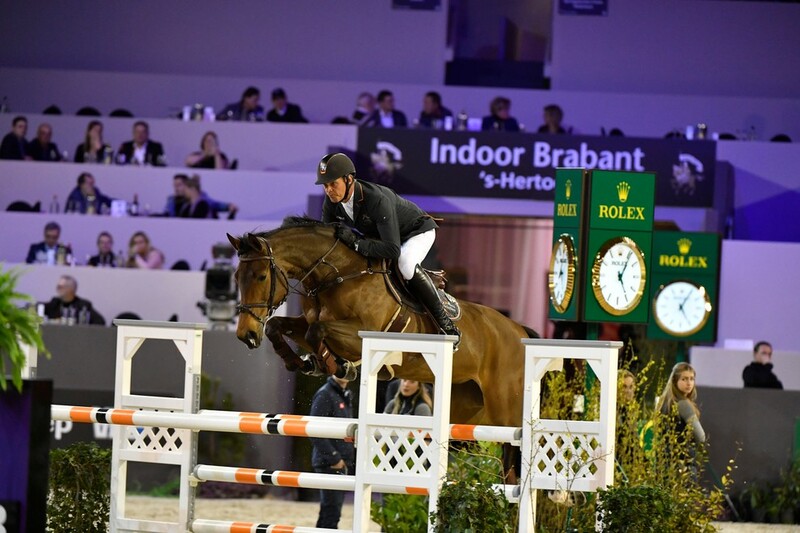 Rolex Testimonees have taken the honours in the Grand Prix at Indoor Brabant on no less than four occasions since 2003. 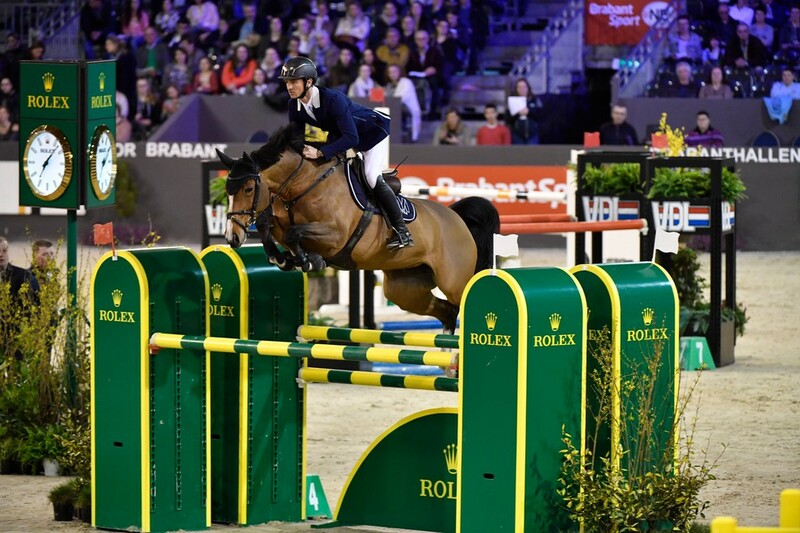 French rider Kevin Staut won the Rolex Grand Prix in 2014; Meredith Michaels-Beerbaum took back-to-back wins in 2005 and 2006; while Brazil’s Rodrigo Pessoa and the legendary Baloubet du Rouet jumped to victory in 2003. 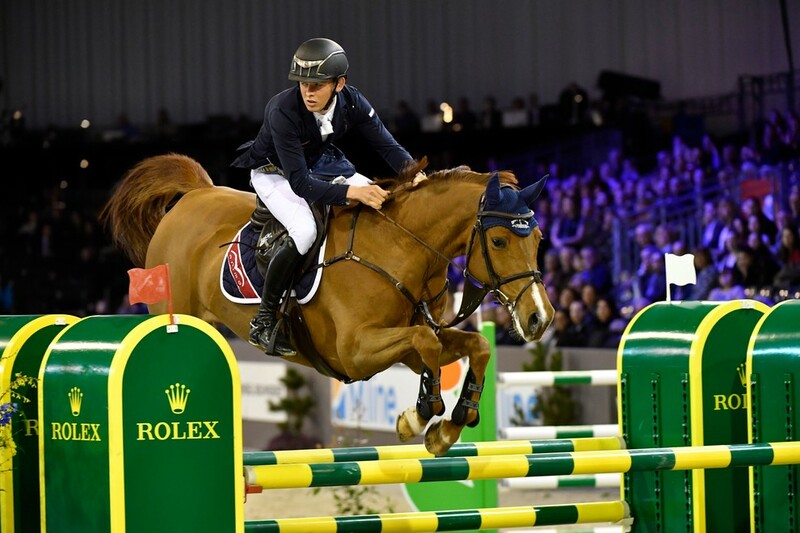 This year, five Testimonees were competing for the Grand Prix prize, home favourite Jeroen Dubbeldam, Kevin Staut from France, Switzerland’s Steve Guerdat, winner of the Rolex Grand Slam Scott Brash and Rolex’s youngest Testimonee Bertram Allen from Ireland. Staut and Allen both made it through to the jump-off after pristine first rounds, but both were unlucky to have single poles down to finish fifth and sixth respectively. 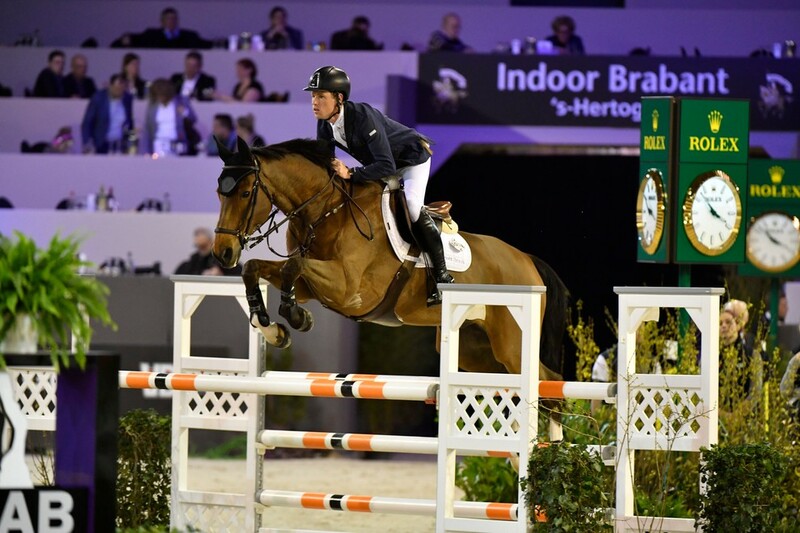 Leopold van Asten (NED) riding VDL Groep Zidane N.O.P. Since its foundation 50 years ago, Indoor Brabant has focussed on delivering not only world-class sport, but also creating an infrastructure based around tradition and a love of horses. 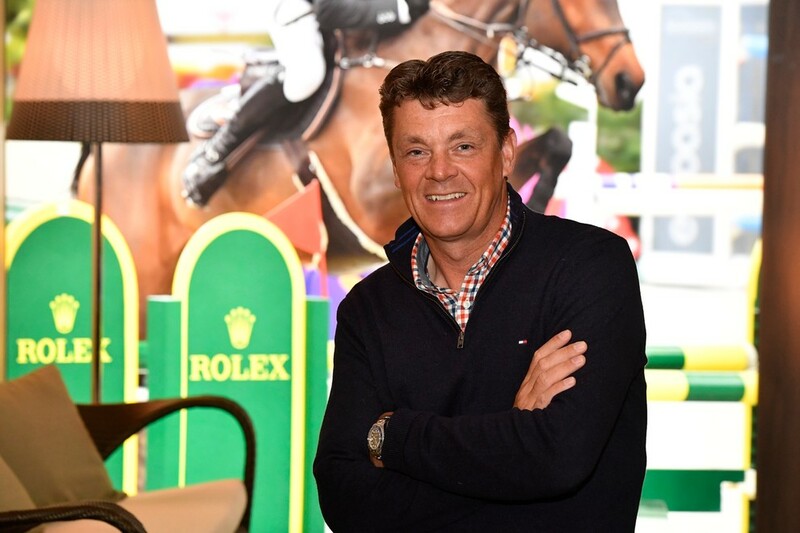 Rolex extended its long-term partnership with the show in 2014 and Indoor Brabant has now built on its reputation as being one of the best indoor shows on the calendar. This year the show enjoyed 60,000 spectators over the four days of competition. This shared approach to absolute perfection in the sport has been recognized globally and from 2018, Indoor Brabant will become the fourth equestrian Major and join CHIO Aachen, Spruce Meadows ‘Masters’ and CHI Geneva as a stage of the Rolex Grand Slam of Show Jumping. Rolex’s support of show jumping dates back more than half a century. The prestigious Swiss watch brand’s close and long-standing association with equestrianism demonstrates its appreciation of a domain in which fair play, equality, horsemanship and tradition highlight superior skill, accuracy and achievement. 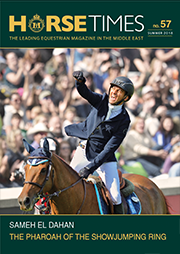 From Pat Smythe, the greatest female show jumper ever to represent Britain and Rolex’s first equestrian Testimonee in 1957, to Scott Brash, the only rider in history to win three consecutive Majors in the Grand Slam in September 2015, Rolex continues to support riders in the three Olympic disciplines of show jumping, dressage and eventing, all of which demonstrate qualities of excellence and perfection.